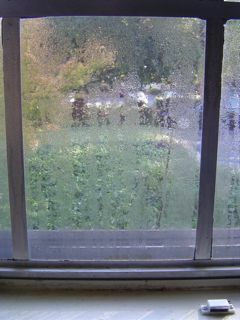 One way to solve that problem is to put another surface between the window and the home’s air. Plastic films have been around for decades to help with this. I’ve even seen some winterization articles suggest using bubble wrap. That photo of the disconnected duct at the top of the article is one of many in my collection. This is not an uncommon failure in homes. When all or most of the heated air that’s supposed to be going to a room is instead dumped into the attic, crawl space, or basement, you have a big opportunity to improve your comfort and cut your heating bills. If you’re in snow country, you also might solve or reduce your ice dam problem. I’ve been writing about this since the beginning of this blog. Unvented combustion space heaters put a lot of water vapor into your home’s air. They have the potential to put carbon monoxide into the air, too. They’re just not a good idea at all. If you really want to use a space heater, get an electric one. If you heat your entire home with unvented space heaters, it’s time to consider upgrading to a safer and more efficient system. The same amount of insulation in your attic can either drain your wallet and keep your cold, or save you money and keep you warm. It depends on how it’s installed. 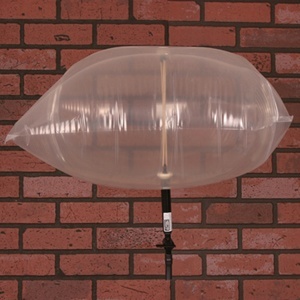 Ideally, the insulation should provide a complete and uniform coverage. If it’s lumpy, you’ll have a lot more heat loss.